The 200Kg.cm Torque ratings are measure at 1cm from the spline axis. 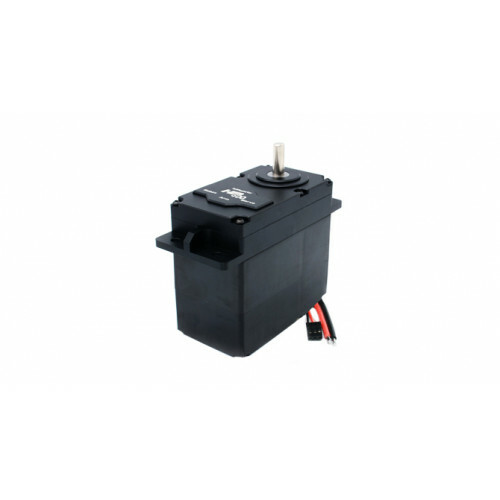 The servos are driven by digital circuits which are responsive and have a large stroke. 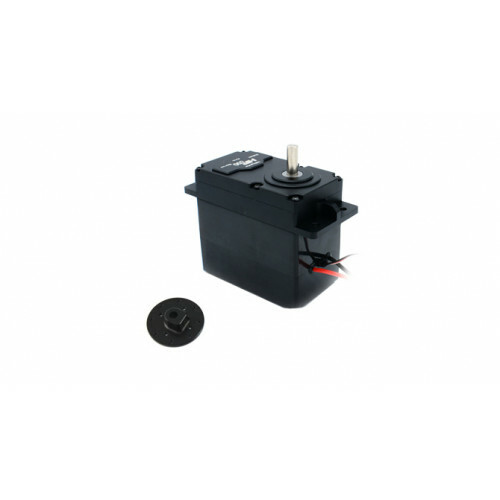 These servos are perfectly compatible with most remote-control system on the market today. The exclusive power stabilization technology ensures that the servos continue to work reliably. 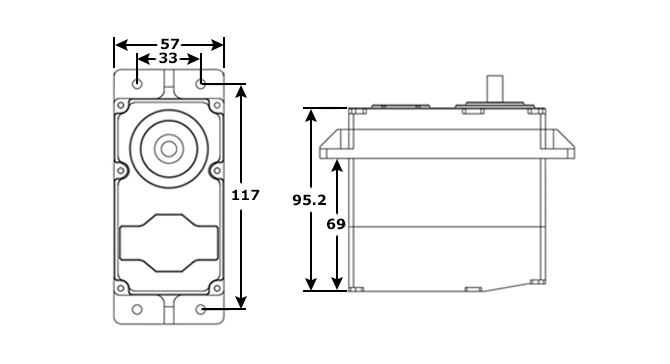 If the servos become overloaded the overload protection will prevent damage allowing the load to be removed and the servo to continue normal operation again. This circuit can stably control the servo to work in the safe torque ranges. 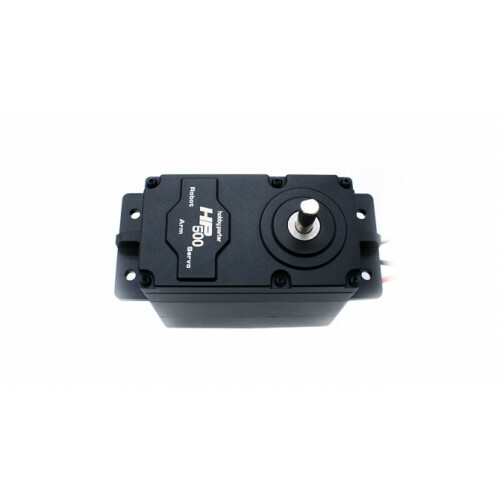 The servo control board does away with the traditional method of detecting the position of the rotating shaft with potentiometer and uses imported original magnetic encoders providing precision position feedback. Non-contact detection offers longer service life, no mechanical wear and no failures from dust or oil build up. 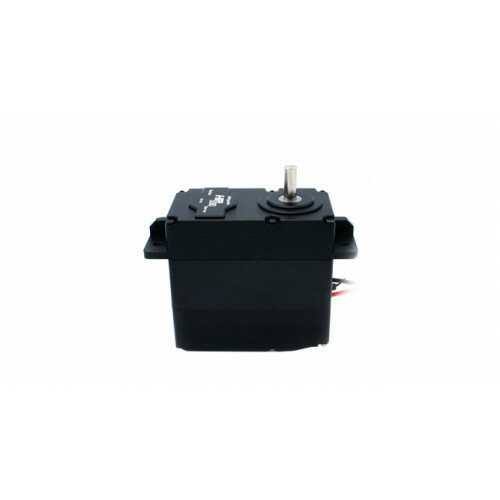 Supports PWM pulse 1-2MS signal control is the standard servo control signal, analogue voltage signal control 0-5V, has normal servo function, also has 360 degree working mode optional, can control the speed of steering gear. This servo has its own BEC5V output and can directly supply power to the receiver. Metal Servo Horn This is a high quality metal servo horn. 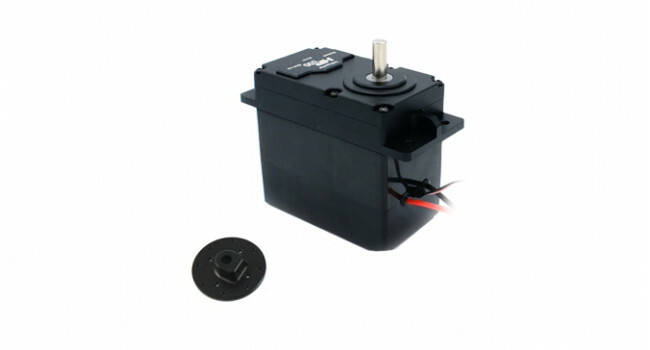 It fits Hitec standard servos, DF series servos and the Uptech CDS 5500 Servo. Quick Spec Outside diameter: 20mm Center hole d..